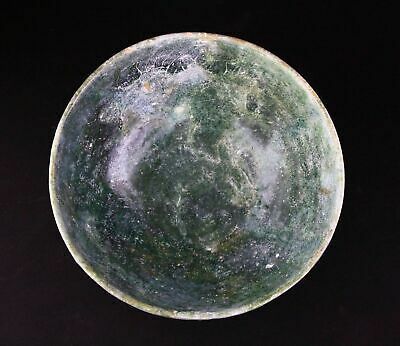 *SC*A LARGE & BEAUTYFUL GLAZED ISLAMIC POTTERY BOWL, 10th-12th cent AD! Seller: saruman.com (3,270) 99.3%, Location: Frederiksberg, Ships to: Worldwide, Item: 333132679722 dag1 About us Authenticity guarantee Payment & shipping A LARGE & BEAUTYFUL GLAZED ISLAMIC POTTERY BOWL, 10th-12th cent AD! 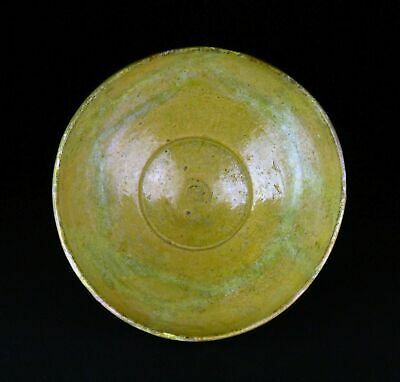 A large and beautiful glazed islamic pottery bowl, 10th-12th cent AD A rather large - 178 x 78 mm - (c. 7 x 3,1 inches) - islamic pottery bowl dating to 10th-12th cent. AD. 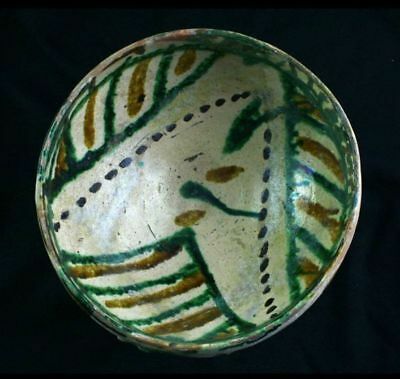 The bowl has a beautyful white glaze with decorations in green and brownish yellow colors. Condition: Choice, a few breaks restored, but with fine original surfaces. Ex. Copenhagen Dealers collection, aquired over a period 20 years. Est: $300-400. Start: $199. *** We do combined shipping if you are interested in more items *** About: Senatus Consulto specialize in ancient coins and antiquities from European and Asia. Our stock is acquired from large and well known danish estates or collections, certified dealers and Danish and International auction houses. Authenticity Guaranteed: Senatus Consulto fully guarantees all items to be genuine in every aspect according to the item description. Any detail regarding an antiquity that is not known to us, will be noted as such. All artifacts and collectibles are accompanied by an invoice which also function as a Lifetime Certificate of Authenticity. Any item significantly deviating from the information provided by us regarding culture and dating, may be returned for a prompt refund excluding shipping and handling costs. In order to receive a refund for authenticity reasons (After the 14 days after receival, which is covered by Satisfaction Guarantee (se below)), we require a written statement from an expert in the field of concern, a TL test or the like. We do not cover expenses to acquire documentation. Satisfaction Guarantee: You can return any item with which you for any reason are not satisfied within 14 days of receival. We will issue a prompt refund of your payment, except for costs such as shipping charges, sales fees, taxes, handling fees etc., upon receival of the item in the same condition as when we shipped it. Returns:Prior to any return, we need to be notified. Items are to be packed safely. Shipping: Buyer pays shipping & handling costs*: Weight EU* US & rest of the world 1000 gram $24 $30 IMPORTANT: EU-CUSTOMERS PLEASE NOTIFY - SO YOU WILL ONLY BE CHARGED EU-SHIPPING RATES. Insurance: Is included in all our shippings. Taxes and legal issues: We are not in any way responsible for costs, delays or legal issues in the home countries of our customers. Shipping rates: Weight EU US & rest of the world 250 gram $17 $19 500 gram $20 $22 1000 gram $24 $30 20900 gram $30 $39 5000 gram $42 $72 10000 gram $63 $118 15000 gram $75 $176 Combined shipping: We do combined shippings - ask for a collect invoice if you are bidding on several items. Payment options: Paypal We will convert your final bid from US$ to £ and Euro and accept payment in these currencies and other European currencies at the request of the highbidder. Eurochecks drawn on Euro country banks only. US$ checks drawn on US banks only. Condition: Choice, a few breaks restored, but with fine original surfaces. Popularity - 13 views, 0.4 views per day, 31 days on eBay. Good amount of views. 0 sold, 1 available. 13 views, 0.4 views per day, 31 days on eBay. Good amount of views. 0 sold, 1 available. Seller - 3,270+ items sold. 0.7% negative feedback. Great seller with very good positive feedback and over 50 ratings. 3,270+ items sold. 0.7% negative feedback. Great seller with very good positive feedback and over 50 ratings. 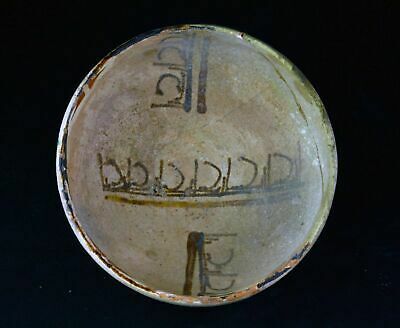 *SC* AN ISLAMIC POTTERY BOWL, WESTERN-CENTRAL ASIA, 11th.-12th cent. AD! *SC* A MASSIVE ISLAMIC POTTERY BOWL, WESTERN-CENTRAL ASIA, 11th.-12th cent. AD! 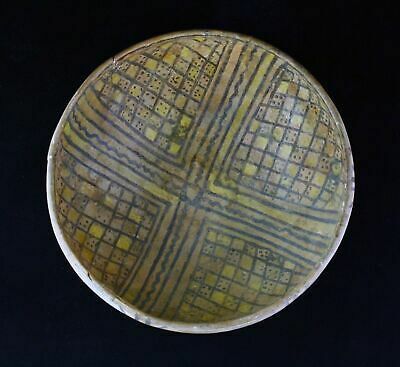 *SC* ISLAMIC POTTERY BOWL, WESTERN-CENTRAL ASIA, 10th-11th. cent. AD! 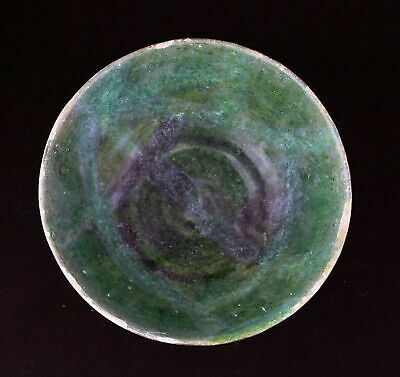 *SC* GLAZED ISLAMIC POTTERY BOWL, WESTERN-CENTRAL ASIA, 10th-11th. cent. AD!